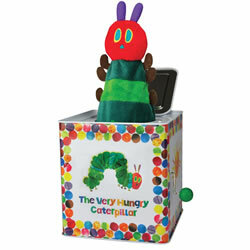 Safe and durable manipulatives are great for creative and imaginative play! 10 months & up. 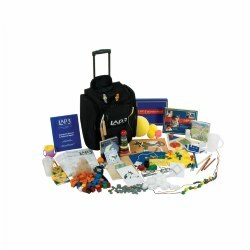 Colorful manipulative sets come in convenient storage tubs and encourage fine motor skills, eye-hand coordination, and sensory awareness. All of these early concepts help children use creative thinking, self-concepts, and have the adult-child interaction that is so valuable. Click 'N Link - Perfect for snapping together, popping apart, and sorting by color or shape. Set of 36 pieces measuring 3 1/2" long. Animal Chains - Connect the cute animals and create a colorful chain. Set includes 24 animal links approximately 4" long. 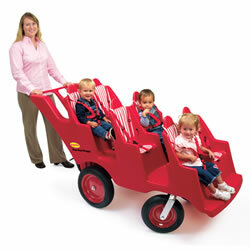 Trio Links - Chubby links have three curves so children can build from all directions. Set includes sixteen 6" plastic links. 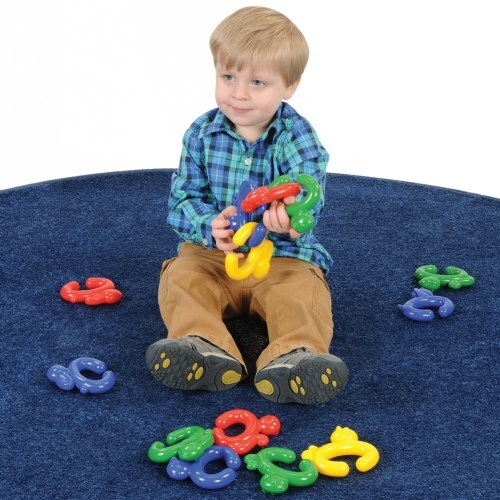 Space Links - Smooth, round links are fun for young children to snap together. Circles measure 3 1/2" diameter.